Both Las Vegas visitors and locals know who to go to for flavorful pizza delivery in the 89101: Pop Up Pizza. Call (702) 366-0049 or order online for a wide variety of fresh, creative pies, delicious side dishes, and even dessert (which is vegan!). 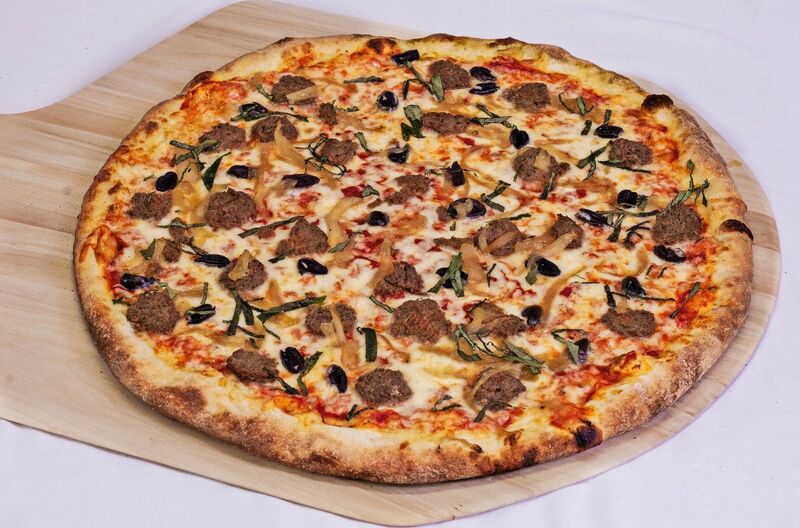 Chose from one of our many options, including The Harris Meatball Pie: Mozzarella, classic Italian meatballs, caramelized onions, olives, and fresh basil. For your convenience–and late-night cravings–we’re open 11am-2am. Stop by and see why everyone loves our homemade tomato sauce and expertly baked crust. 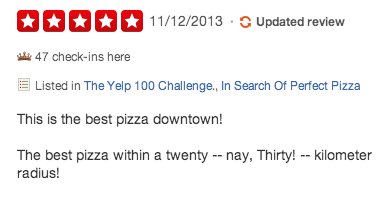 Just look at some of our Yelp reviews! Like us on Facebook for coupons!